Completing your continuing education your renewal deadline has never been easier. We have compiled the best courses for Nevada Real Estate agents to help you not only renew your license but to learn the latest in real estate market trends so you can be successful. This package contains 12 of the General CE hours needed for active sales license renewals in their second or subsequent license renewal. Per NV Regulation NAC 645, licensees are not allowed to take any of the same courses in back to back renewal cycles. Each course taken must have a unique approval number differing from those taken in the previous renewal cycle. It is the licensee's responsibility to ensure they are not taking any of the same courses as they took in their previous renewal cycles. This package contains 12 of the required CE hours neded for active sales license renewals in their second or subsequent license renewal. *Per NV Regulation NAC 645, licensees are not allowed to take any of the same courses in back-to-back renewal cycles. Each course taken must have a unique approval number differing from those taken in the previous renewal cycle. It is the licensee's responsibility to ensure they are not taking any of the same courses as they took in their previous renewal cycles. **This course meets the REALTORS® Code of Ethics Training (formerly known as NAR QUADRENNIAL) Requirement. You will need to confirm with your local REALTOR association if they will accept it. This package contains 12 of Required CE hours needed for active broker license renewals in their second or subsequent license renewal. 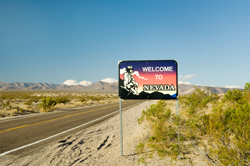 This package does not contain the Brokerage Operations in Nevada required for renewal. This course meets the 3 hour Agency requirement for ALL licensees as set forth by the NV RED. Real estate professionals must adhere to legal and ethical responsibilities when they represent their clients. In Agency Responsibilities in Nevada, we identify and explain the duties and responsibilities when licensees represent the buyer, the seller, or both parties. We review how an agency relationship is formed, the types of agency agreements licensees may have with their clients, and the required Nevada waivers and disclosures that help support and define agency role. This 3-hour course is designed to meet Nevada’s mandatory Residential Agency requirement. Students review of the agency relationships allowed in Nevada and their corresponding disclosure requirements. Scenario-based activities allow students to apply the legal guidelines in context. This course meets the 3 hour requirement for Contracts as mandated for ALL licensees by the NV RED. Contracts are an integral part of the role of a real estate professional. A properly prepared and signed contract is a legally enforceable agreement between competent parties who agree to perform, or refrain from performing, certain acts or omissions. The “properly prepared and signed” is where the real estate licensee—and this course—come in. While most of the forms that licensees use have been drafted by attorneys, licensees still need to fill in the blanks. To do so properly, they must understand basic contract law, the legal requirements included in the various contracts, and when to seek the advice of a legal professional. This course examines the laws and regulations impacting real estate contracts. It reviews the types of contracts that real estate professionals use and describes how to properly use pre-prepared contract forms to ensure that licensees and their clients are protected under the law. An explanation of contractual terms, and essential elements to create a valid and binding contract. Anatomy of an offer and acceptance. Federal and Nevada state laws regarding the use of standardized contract forms, and how to property execute contracts. A look at the primary contracts and disclosures involved in residential and commercial real estate transactions, including sales and leases. *In Nevada, this course is classified as 3 MANDATORY hours of the ETHICS requirement. The real estate market reflects the diverse population that is present in the United States today with individuals of different races, ethnicities, lifestyles, and cultures. The interests and goals of individuals within diverse populations influence their decision making process within the purchase of real estate. It is critical that the successful real estate professional understands and adapts to others’ lifestyles. Every two years, legislators in Nevada convene to approve, deny, and amend bills that impact real estate professionals. The 2015 session, the 78th legislative session, covered a wide range of bills affecting many aspects of real estate. This three-hour course reviews the 2015 Legislative Session, summarizes the recent RESPA-TILA changes that affect mortgage loan disclosures, and meets Nevada’s mandatory requirement for CE on Law and Legislative topics. The business of real estate hinges on the concept of agency, where designated real estate professionals represent the needs of the buyer or the seller—or, in some instances, both the buyer and the seller. By engaging in this type of professional representation, agents enable the sale of real property between the seller and the buyer. Listing agents and buyer’s agents are obligated to meet certain legal and ethical responsibilities when working with home sellers and buyers. Throughout this course, we will explore those duties and responsibilities. Closed transactions equal commissions in our business! Real Estate is a business of contracts and a solid understanding of contract law and the contracts associated with a real estate transaction is critical to closing the greatest number of transactions. This informative course discusses the types of contracts involved in a transaction as well as practical advice regarding when to seek expert counsel. This course meets the 3 hours of Ethics requirement for ALL licensees as mandated by the NV RED. Every agent has the obligation to deal honestly with their clients and customers involved in a real estate transaction—there’s no room for shading the truth, leaving out inconvenient facts, or overlooking damaging information. Representing sellers, buyers, or both creates a legal and ethical balancing act that requires you to remain attentive to the rights of each party under the law. This course provides an overview of the principles of ethics for the state of Nevada. Fidelity: You represent the interests of your client and have the utmost loyalty to your client during any transaction. You must treat other parties in a transaction honestly; be faithful and observant to the trust placed in you; perform your duties with accuracy; and place no personal interest above the interest of your client. Integrity: You, as a licensee, have an obligation to perform your responsibilities with honesty and use caution to avoid any misrepresentations or false claims. Competency: You, as a licensee, must be knowledgeable about your profession and about the industry. Continue to be informed about market conditions, legal changes and issues, and changing trends in your areas. ADA legislation affects the business of every real estate agent. Find out what the laws cover and how it pertains to you, while refreshing your knowledge of the Federal Fair Housing Laws. This course meets the 3 hours Ethics requirement in Nevada. In Nevada, this course is classified as 3 required hours of the broker management requirement. Running a brokerage is different than running a typical business. The legal and financial ramifications of the practice of real estate involves high-exposure and high-risk. The more planning and forethought that goes into a brokerage before the doors open, the lower the risk becomes, and the greater chance for long-term success. This three-hour course shows students how to establish, staff and maintain a successful real estate brokerage in Nevada. A step-by-step guide to creating a strategic plan for a brokerage. A look at the pros and cons of the most common types of business structures including franchises, sole proprietorships, LLCs, partnerships, and corporations. A discussion of Chapter 645 of the Nevada Revised Statues and its applicability to establishing and operating a brokerage. An overview of main and branch office licensing and supervisory requirements. Brokerage location and layout considerations. The four drivers every broker must manage to ensure business success. Human resource considerations (recruitment, training, retention, development, and management). Sample policies and procedures manuals, and a guide to tailoring one for any brokerage. Marketing tips including rules for social media advertising, and how to minimize the dangers of social networking. As a Broker or Broker-Salesperson in the state of Nevada, you carry responsibilities above and beyond those of a producing sales person. This course provides a blueprint for navigating the many components of successful real estate brokerages. Topics range from organizational structure to practical advice for recruiting the very best salespeople to keeping daily practice in alignment with your business objectives. Tactics that work with motivated, excited sellers don't always translate well when working with short sale sellers and short sale buyers. Toss lender approvals, junior lien holders, and inflexible timelines into the mix, and you end up with a whole new ball game. In a short sale transaction, the motivation for each party is different than the standard transaction, and as the professional in the scene, you need to adjust accordingly. This course speaks to your interaction with short sale sellers, and how you can help them through a tough process while diligently advocating on their behalf. We cover how to figure out an appropriate listing price, negotiate with the lender's representative, sort through debt settlement terminology, and carry the deal through to closing. We also look at the process from a buyer's agent perspective. Additional cautions, considerations, and fraud prevention tactics are required when advocating on behalf of these deal-seeking buyers. Infinite prospecting and advertising opportunities are available to real estate professionals through social media, blogging, property listing website, and email resources. Whether you’re an experienced Internet-savvy professional or have yet to create a Facebook profile, this course will help you gain an understanding of the legal, regulatory, ethical, and professional issues that should shape your online content and conduct. Resources to help you in developing your online presence through personal websites, blogs, social media profiles, email campaigns, etc. In Breaking Barriers in Fair Housing, we discuss the protections provided by the Fair Housing Act, and how licensees can best protect clients and their firms from discrimination. Video enactments depicting actual fair housing cases, submitted by the Oklahoma Real Estate Commission. An analysis of the benefits of fair housing principles in real estate. This course covers aspects of "green home" construction and sustainable design, including lot shopping, site work and landscaping, and building material choices. It also addresses safety considerations and waste management. Presents methods and principles for pricing property. Covers pricing compared to appraisal, basic concepts of pricing property, principles of value, approaches to pricing property and application of the market data and replacement cost methods. This course is approved for 6 hours of General continuing education credit in Nevada. Every four (4) years by the last day of the month in which you first obtained your license. Sales licensees must complete 12 hours of required and 12 hours of general real estate courses in each 2 year period of the 4 year licensing period. The state only allows 12 of the 24 hours to be taken in an online format. Broker licensees must complete 15 hours of required courses and 9 hours of elective courses in each 2 year period of the 4 year licensing period. A maximum of 3 hours of personal development courses may be taken for renewal or reinstatement of a license.